Jazz: "a genre of music characterized by a strong rhythmic understructure, blue notes, and improvisation on melody and chord structure." 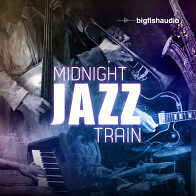 Experience traditional jazz in its purest form. If your productions call for authentic jazz, the complex yet simple sound of these construction kits are your foundation. Moody piano, impulsive drums, expressive bass, and artistic guitar. Kits range from 65 to 129 bpm, in WAV, REX, and Apple Loops format. Unforgettable jazz is only a few notes away once you have the right elements. 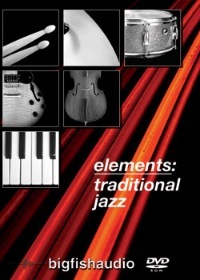 The Following End User License Agreement is included with Elements: Traditional Jazz. This License is only valid for the individual who has purchased an unopened, new and lawfully made copy of Elements: Traditional Jazz from a dealer or distributor authorized by Big Fish Audio.